To start with a favorite settings, without to register *.qdr files for the file manager Q-Dir on windows OS. Please create a shortcut! for example on the Windows Desktop! Q-DIR - FAQ-69: Start with a favorite, without to register *.qdr? I use QDir in the portable version on a USB stick. Now I would like to start the program with a favorite, which is not yet apparent. A wish of QDir space provided desktop shortcut, not me I then the system of my firm is involved. 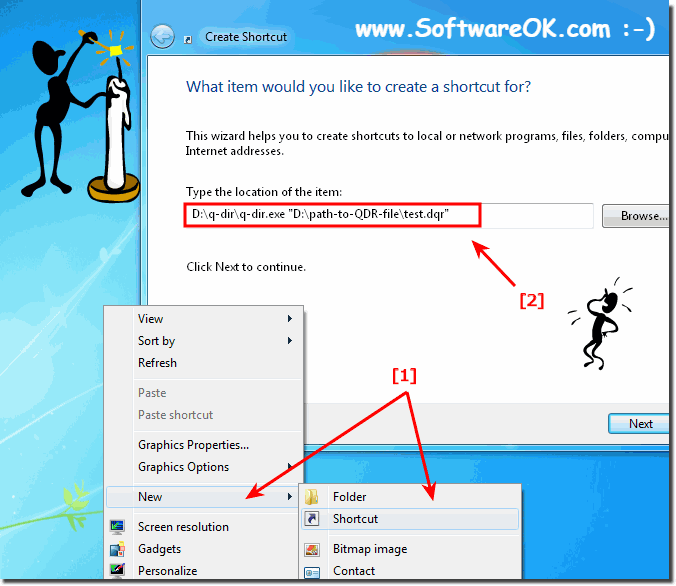 Therefore it would be nice (and powerful for all users), when not only individual folders, but a QDir-favorite at the start might be specified - eg qdir.exe/fav "My Favorite"
Will be useful if for example: wants in the company (department) avoid using Q-Dir portable and that are made in the system changes.